Finding the best Pinterest tools to increase traffic was a bit challenging. Growing my blog traffic and increasing my blog income is my main priority for the rest of the 2017 year! Because of this goal, I took the necessary steps to work on making my blog vision come to life. In the last 3 months, I decided to invest in what I consider 5 of the best Pinterest tools to help with blog traffic in order to reach my goals. Before we get started on the best Pinterest tools to use, we would love for you to join our growing Facebook group right here! You can also join our Pinterest group by scrolling to the bottom of this page! If you are looking for guest blogging opportunities or if you need a personal affordable coach to take you from A-Z, we can help you. Get all the juicy details right here! Have you seen our brand new shop! THIS POST MAY CONTAIN AFFILIATE LINKS. PLEASE READ MY DISCLOSURE AND AND GDPR POLICY UPDATE FOR MORE INFO. If you are struggling to get blog traffic like most new bloggers (or long-time bloggers), be sure to start using the tools suggested below. These are the best Pinterest tools that will help boost your blog traffic instantly. FROM ZERO PAGEVIEWS TO OVER 200K PAGEVIEWS PER MONTH! This is my all-time most valued Pinterest tools for blog traffic! I purchased this e-Book about a month ago and I didn’t really start implementing her strategies until about 2 weeks ago and oh boy, why did I wait? My average monthly view on Pinterest is currently at 196, 877 monthly average views! I am extremely excited to see what this eBook will do for me in the next few coming weeks. I am slowly making and implementing the changes and working my way to more page views. The good thing about this eBook is that you do not need any automation tools such as TailWind or Boardbooster to be good at it! I am still using these tools but I am slowly cutting them out of my strategies as I would like to implement Carly’s strategies to the fullest of its potential. I use to use board booster mainly for its looping feature which I think is amazing but Boardbooster is officially not available. I use Tailwind to get a more accurate analytic to what’s happening when I pin every pin. I want to make the best use of my time and these tools are still as useful. 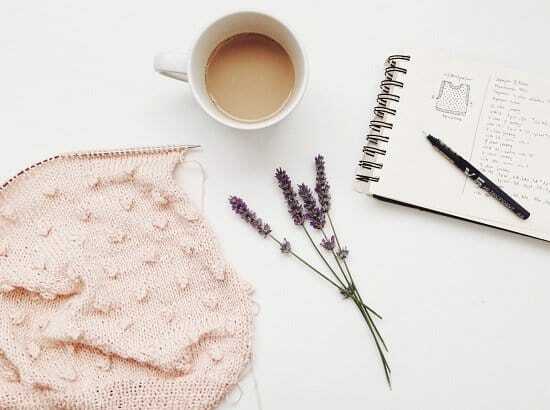 Read her tutorial on how she went from zero page views to over 200 thousand page views and why we think this is the best Pinterest tools: Details available here! I consider this one of the best Pinterest tools because you actually get results for the effort you put into it. 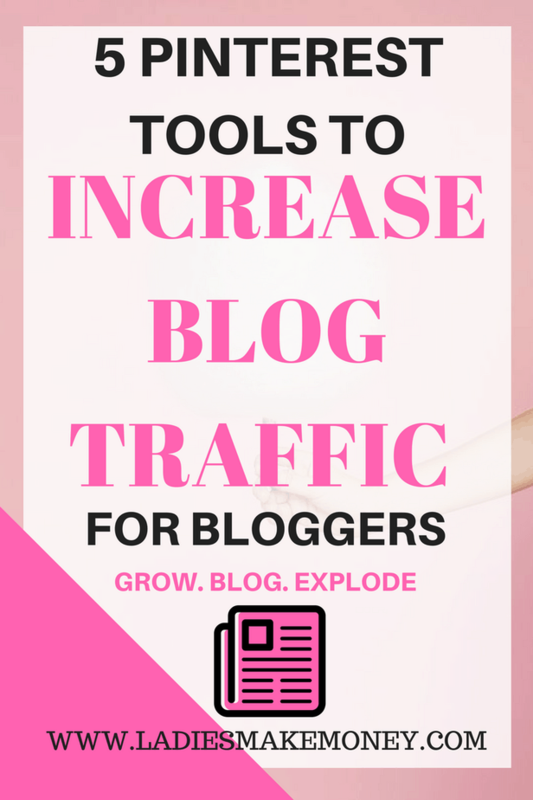 If you are struggling with blog traffic, give this Pinterest tool a try. My next most recommended and one of the best Pinterest tools for blog traffic is “Pinterest tribes” catered by Tailwind. Although I am using Carly’s tips from Zero to 200 K page views (Pinteresting Strategies), I still love my Tailwind tribes. It’s similar to Pinterest group boards but easy to monitor. Once you share your posts on Tailwind Tribes, other bloggers are required to share your blog posts too. If they do not share your work, the tribe admin can easily boot them out for not participating. It is one of the best Pinterest tools and it increases my blog traffic every time I use it. The reach is so much more powerful than actual group boards. Pinterest tribes are FREE to join and you can join my tribe – Blogging for business-Promote your blog– Join Right here! Once you join the tribes you are guaranteed to see your traffic increase. If you are not sure how to use Pinterest- Tailwind Tribes to boost your blog Traffic you can read up on it! 10 Pinterest Tribes every online blogger should be a part of that you can also join! 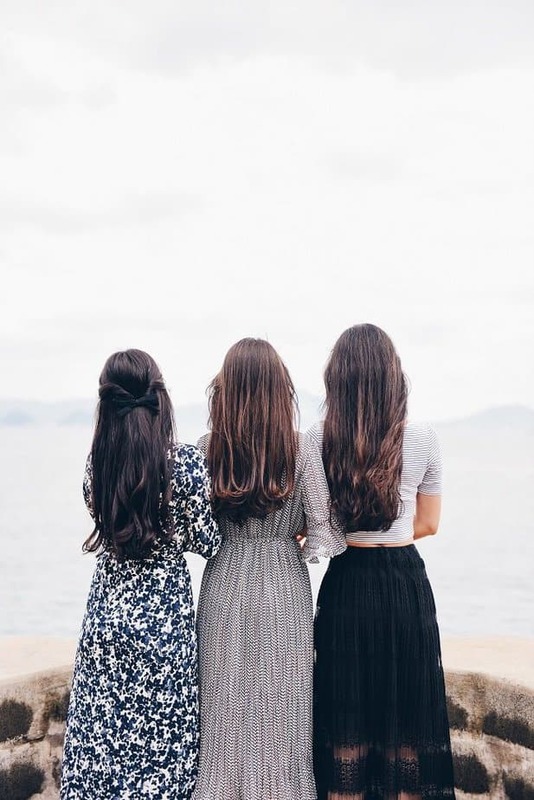 Every blogger needs to have a tribe of their own for growth. It’s a way to connect and a safe place to ask for help and motivation when needed. HOW TO MAKE YOUR FIRST AFFILIATE SALE IN 24 HOURS? My business module is all about making money online as a female entrepreneur, a stay at home mom or just for any woman out there looking for ways to start a business to make money! With this in mind, I heavily use Affiliate marketing strategies to achieve my goals each month. This is my bread and butter, therefore I use strategic ways to promote affiliate links. I have taken courses, read every article out there and invested my time and energy in learning more about affiliate marketing. It basically teaches you how to make that sale using Pinterest. After all, so many people hang out on Pinterest. Why not use this strategy to make money on Pinterest. 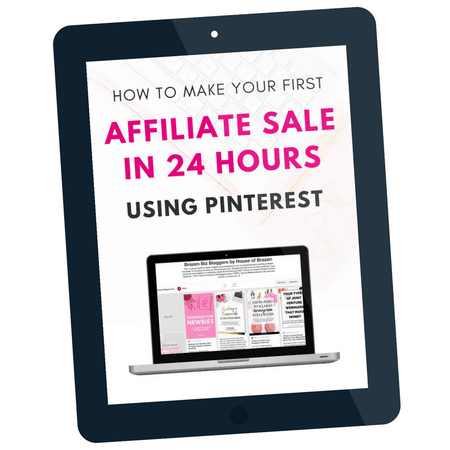 I wrote a full review of this eBook, be sure to read it here: How to make money in affiliate marketing within 24 hours using Pinterest! Pinterest groups are great for increasing your blog traffic. However, Pinterest wants you to now focus on your own boards, create more boards related to your business and use appropriate keywords. This is the best practice from Pinterest. However, I still consider Pinterest Group boards the best Pinterest tools out there for bloggers. But keep in mind you also need to work on your own boards for better results. Carly who wrote how she went from zero page views to 200 thousand page views per month, talks about the right times to post in groups, how to post in group boards to maximize exposure as well as what pins of yours will work well and get you more blog traffic. I started using her strategies and I am already seeing great results. Because of her, I decided to join a few more strategic Pinterest group boards to further increase my blog traffic. Do you want a list of groups to join? You, my friend, are in luck! A list of 50 Pinterest Group boards for bloggers to build Traffic– this is the ultimate list. Go ahead and join the group. Although I consider Pinterest Group boards the best Pinterest tools for bloggers, I have decided to create more boards that cater to my niche, crafted them with heavy keywords and I am pinning to them more. Pinterest wants you to focus on your own boards. I have not left any group boards as of yet. And I do not think I will unless Pinterest says to do so officially. Milotree is what I use on my site to direct people to my Pinterest account, get more followers and increase blog traffic. It is the best Pinterest tools highly recommended by many bloggers. It is the one Pinterest tool I have used to grow my Pinterest account from zero to 3500 in less than 6 months. I gained a total of 20 followers a day with this amazing tool. Keep in mind in order to grow your traffic, you do not need a huge following but rather, a great click-through rate. But every new follower will help get your work in front of new eyes every day. Another reason I consider Milotreee one of the best Pinterest tools out there, is because it now caters to other social media platforms. 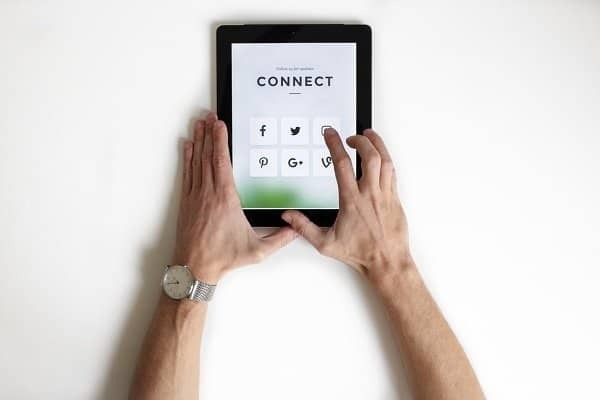 It will now also help grow your email list, Instagram, Pinterest, Facebook, and Youtube. If you are not on Milotree, consider joining them today. What are you doing to increase your Pinterest followers? I also find that the more followers you have, the more brands and influencers are willing to work with your online business. Did we miss anything out on the list? What are some of the best Pinterest tools you are currently using to get traffic? THESE ARE THE 5 MAIN AND SOME OF THE BEST PINTEREST TOOLS FOR BLOG TRAFFIC I USE ON A DAILY BASIS! WHAT DO YOU USE? GET YOUR FREE BLOG PLANNER HERE AND PLAN OUT YOUR BLOG GOALS! GET MORE AMAZING BLOGGING TIPS HERE. I have been looking for more pinterest groups to be apart of in order to increase my followers and engagement. I am definitely going to check out the post you mentioned. I am glad you found the post useful! I love Pinterest Groups for increasing traffic! Thank you so much for sharing! Wonderful tips! Love it! I’ve read so much about Milo Tree lately! I need to start using it! I needed this! Great post!!! I pin manually, so it’s nice to see there are resources out there to help me. Thanks for sharing these tools and tips! Very helpful. I know I’m definitely NOT maximizing my Pinterest account, so every suggestion is welcome! This post is so helpful!! I’ve seriously been wondering how people get so ugh traffic from Pinterest and I’m for sure going to look into the Tribes and the scheduling apps!! These are all such great suggestions! I am going to look into Milotree. Thanks for sharing! I`m still working on getting into tribes though I do love Milo tree! These were all great ideas to help with my blog! I clicked through to other pages as well, and it was exactly what I needed as a newbie blogger! Thanks! Great advice! Thank you so much for sharing! Definitely looking into all of these ?. Loved this! I was not sold on Milo Tree but you totally convinced me to buy it! Your article was very helpful! I’ve been trying to use all the platforms i can to drive traffic to my website, and this will help out a lot. Thanks for sharing. I love these tips!! Thank you for the amazing ideas!! I totally bought that course! Woohooo… It’s a great course. Your articles are always so great and informative! I’ll have to map out some time to really concentrate on your posts and try to implement some of the tools. Thanks! This post is so helpful. I especially liked the information about Milo Tree! I can’t wait to start implementing these tips! Thanks for sharing! I’ve been using Tailwind and boardbooster, I even joined some Pinterest tribes! However I’ve never heard of Milotree or Carly’s book! I need to buy it. Carly’s eBook is amazing, you will be surprised by what you did not know. Great listing of tools!!! I’ll be coming back to review more!! Thanks for the article. The others I use, but milo tree I may have to try at some point. Milo is a great tool. Some really great tips for Pinterest. Very helpful information! So very helpful for new bloggers like me who are still trying to wrap their heads around so many tech thingies to grow the blog. Thank you for this post. Need Pinterest and the Pinterest tips. I would love to get to the shares you have. Awww thank you, lot’s of hard work. These are some wonderful resources for gaining the most from Pinterest. I am a huge fan of Tailwind. The tribes make life a lot easier to schedule things in advance. I really love the tribe feature. So excited about this! I can’t wait to delve in further when I have a bit of time. Bookmarked! I hope it helps you Tiffany! Great ideas! I had never heard of tribes or Milotree! This article is amazing! I think I’ve clicked on every link in here. Thank you! Can’t wait to do more research! I need to start milking pinterest more. Pinterest is amazing! Like seriously! So happy to know you also use Carly’s e-book and that it’s working out! I’ve bought it and I’m still joining groups as I’m new to Pinterest! Loved all the tips, thanks! Hi, first thank you for the interesting post, Lots of great tips! 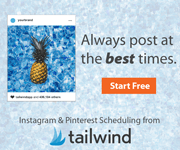 I am in pinterest tribes and tailwind confuses the crap out me. It’s nice to read that there are other ways to get your stuff up in pinterest. Some really great tips for Pinterest. Very helpful information. Thanks for sharing resources and ideas. Some of these may work for me. These are such great suggestions! I recently started MiloTree and Tailwind Tribes. I’m hoping to see an increase in my Pinterest traffic! I really have no idea what I’m doing or not doing on Pinterest so this was remarkably useful. Thank you. I am glad it was able to help you. Thanks for this! I need to get started with pinterest! I’m definitely saving this so I can start implementing and following this advice… thank you! So many great tips! 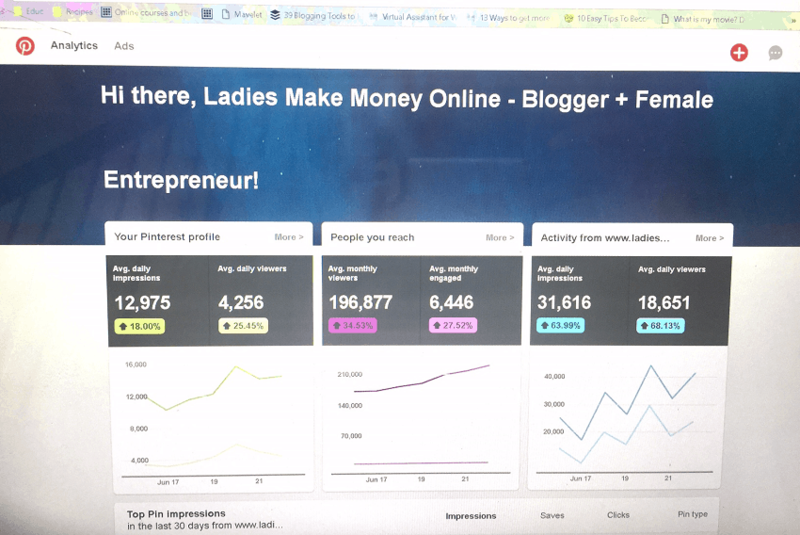 Pinterest is the best tool for bloggers IMO! Totally checking out this book! I adore Carly and have read her book but honestly haven’t implemented everything. Thanks for the reminder! I’ll go back and read it again! I hadn’t heard of milotree but will certainly check it out using your link! Great advice! Thank you! Can’t wait to start implementing. These are some really good resources! I have never heard of Milotree! I am definitely going to have to check it out! I love her book! Can’t wait to read your guest blog! Love this blog post. Great tips. I’ve really seen a post in traffic from using tribes. Very interesting post share. Pinterest best social media blog and website traffic increase website.